Boston, MA – The first snows have already fallen, sparking excitement for the ski season and for New England’s annual season kick-off party and buying spree. 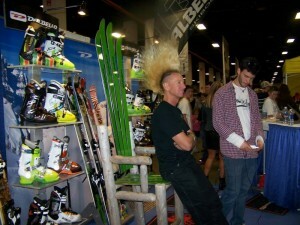 It’s the 32ndAnnual Boston.com Ski & Snowboard Expo. Staged at Boston’s Seaport World Trade Center and opening on Thursday, it’s where snowsports fans line up for deals and to find out what’s new for the coming winter across North America and beyond. Ski and snowboard stars set to attend to meet and greet fans include: Glen Plake, perhaps the world’s most renowned free skier; Olympic gold medalists Tommy Moe and Donna Weinbrecht; and 2014 Paralympians Mike Shea and Nicole Roundy, Top world freeskiers and Teton Gravity Research film stars will also be on hand for autographs – Ian McIntosh and Dylan Hood will be signing posters at Marker-Völkl midday on Saturday and Sony Action Cam has scheduled in Dash Longe and Tim Durtschi on Saturday, 3-5 p.m. Billy Demong, the first U.S. Nordic gold medalist who also earned silver in Nordic Combined at the 2010 Vancouver Olympics, may also be on hand. Attendees can collect free posters signed by Olympic stars and stickers, and participate in hourly drawings and prize wheel giveaways happening everywhere throughout the Expo hall. New this year, U.S. Paralympians, past and present, will offer up personal highlights of their careers and give presentations on their adaptive equipment and personal stories for a real hands-on look at what it takes to excel in their specialized events. Paralympic snowboarders Mike Shea (silver in Sochi) and Nicole Roundy will be representing the team, along with sled hockey triple medal winner Taylor Chace. 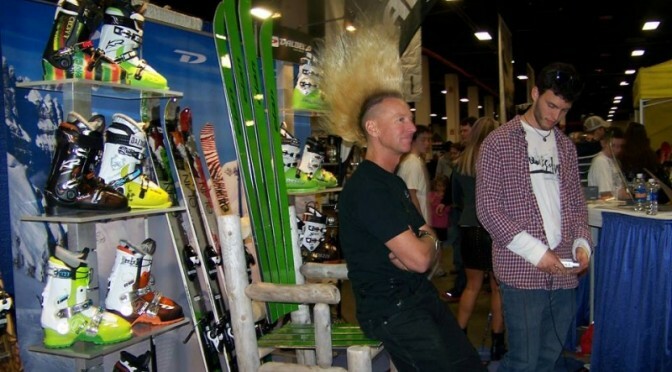 The show’s Vertical Runway Fashion Spectacular will feature regularly scheduled stage shows of the latest in ski and snowboard fashions and accessories presented by East Coast Alpine, Expo’s retail sponsor, and their clothing company partners. East Coast Alpine’s gigantic snowsports sale, right inside the Expo hall, will offer savings of up to 70% on a huge selection of ski and snowboard equipment, clothing and accessories. In the Nordic Village Learning Center, attendees will sample simulations of cross-country, snowshoeing, jumping for a hands-on indoor learning experience, with instruction by top athletes and expert teaching pros. The Skyriders will return this year with a spectacularly choreographed aerial show featuring skiers and boarders in an original high-flying acrobatic trampoline show full of visual and audio thrills. Also returning after a one-year hiatus from the show, Slackline will deliver a new pro-level competitive event, always a huge crowd pleaser. Expo is loaded with deals around every corner. With resorts from across North America, and vacation offers overseas, there are literally hundreds of Expo-only lift ticket, season pass, and vacation specials for savings on the mountain and at the lodges. Foodies will enjoy chef demos and tastings, specialized food product samplings, a beer garden, and plenty of food court offerings. Live entertainment and interactive exhibit areas will include popular regional musical groups, and games and participation activities geared for children. Kids can also participate in the Eliteam Fitness Challenge led by Doug and Kelley Lewis, Wachusett Mountain’s Kids Snow Park, or learn to snowboard at Burton’s Riglet Park, while adults will enjoy the popular brews of the Long Trail Beer Garden at the Ski Vermont pavilion. The show opens from 3 to 10 p.m. tomorrow, and will continue with the same hours on Friday, 10 a.m. to 8 p.m. on Saturday and will wrap up 10 a.m. to 6 p.m. on Sunday. Admission costs $15 at the door, and children under 12 free. Paid admission includes a subscription to SKI or Skiing magazine and a $10 Liftopia Gift Card. Visit www.SkiSnowExpo.com for Expo coupons and other ski and snowboard deals. Discount coupons are also available in the Boston Globe and on Boston.com.